Fine dining in historic European castles? Who, me? How about an exquisite dinner in the oldest castle in Slovenia? 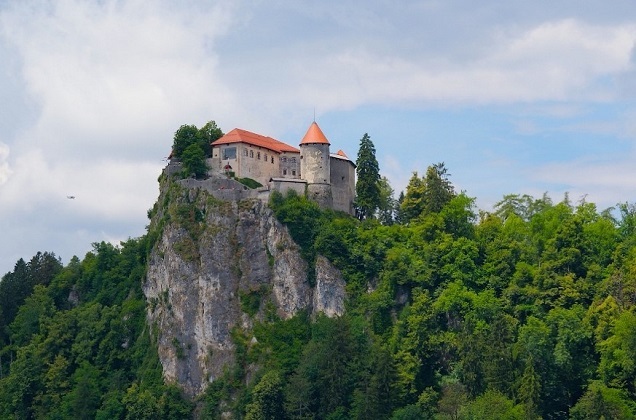 High above the glimmering waters of Lake Bled, Castle Bled stands proudly on a rocky outcrop, protecting the secrets of its long, storied history. As if the setting wasn’t enough, fabulous dishes of pork cutlets, trout fillets, and flavorful spinach tagliatelle, topped off with a delectable white chocolate and yogurt mousse, made this dinner unforgettable. 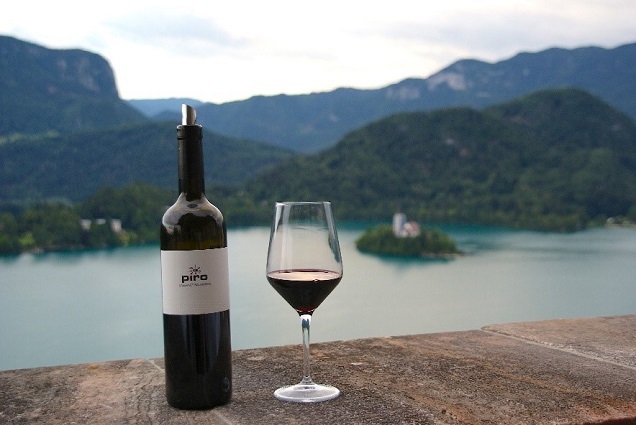 Fine dining in a historic castle—while enjoying a bottle of Piro Cabernet and that killer view of Lake Bled—doesn’t happen every day. This was just one of the memorable meals I was treated to on a recent three-week trip to Italy, Slovenia, and Croatia. These, and other great experiences I have had traveling over the past two years, are possible because I’m a travel writer. In addition to wonderful meals in Slovenian castles, I’ve received complimentary meals in Italy—including Venice, Rome, and Ortisei in the Dolomites—and enjoyed a fantastic sea bass at the Bistro Yacht Club in Opatija, Croatia. It was wonderful that the tourist bureaus made it possible for me to enjoy perks like these. The meals, which would have cost hundreds of euros (and did not fit into my previous travel budgets), have now become part of my vacation routine. I’ve also received special “front of the line” privileges. For example, at some of Slovenia’s popular tourist sites, our convention bureau hostess simply walked us to the front of the long lines and gave us immediate entrance. At Ristorante Miky—a very popular restaurant in Monterosso in Cinque Terre, Italy—the manager greeted us at opening time and seated us at a window table for a very special dinner. Before becoming a travel writer, my family and I were very budget-minded and would not stay or eat at nicer, more expensive places. We tried to stretch our travel budget by watching every penny. But now that much of my lodging, dining, and activities are complimentary, we are able to eat and stay at amazing places, in addition to extending our vacation time. Every person’s travel-writing journey is different. I still work full time as a special education teacher and high school tennis coach, so I focus on making the most of my weekends, holiday time, and, of course, my summers. In addition to my summer trips to Europe, I’ve planned several local trips in my home state of Texas, as well as trips to Colorado, Wisconsin, and Washington D.C. during the year. In the two years I’ve been a travel writer, so many doors have opened up to me that were previously closed. And the future holds so many more opportunities. Currently, I’m planning to go to Germany, the Czech Republic, and Ireland—the list is endless, and I get excited every time I think about my next trip! If you have dreams of writing about your travel adventures, now is the time to get started. Follow the path of those who have done it before. Who knows—you may find yourself enjoying dinner and a glass of wine in a European castle!